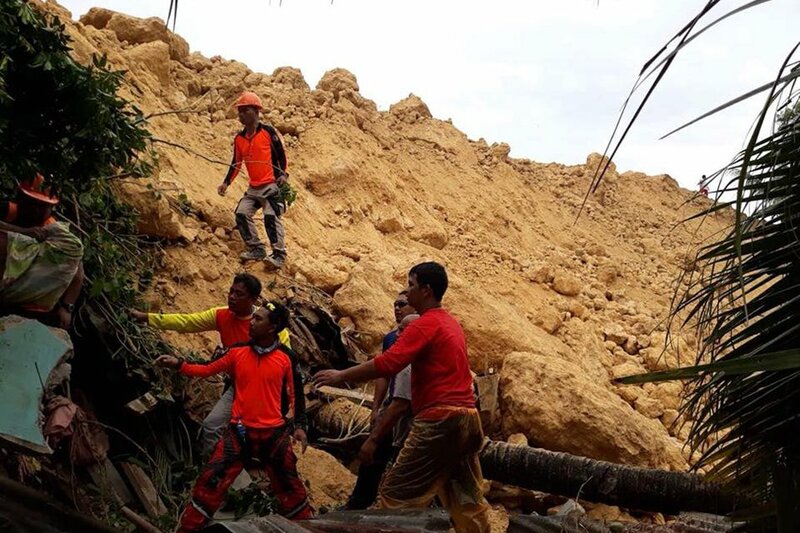 In Naga City, Cebu a landslide has caused the death of 55 people. Dozens remain missing, and classes are suspended in schools that are being used as evacuation centers. Several water sources were found contaminated with E.coli bacteria. A massive landslide buried dozens of homes near a central Philippine mountain on Thursday. The landslide was triggered by Typhoon Mangkhut. Families of victims are calling it a man-made disaster triggered by the quarry.